I have something really exciting to share with you. It’s been an amazing ride creating Run With No Regrets and getting to know others who love running, want to try running, or even can’t stand running! Running is a constant challenge. You’re either trying to get faster and stronger, manage to fit running in your schedule, or find the motivation to actually go for a run…it never ends! So a few weeks ago, I decided to embark on a new, running-related project. I wanted to find a way to personally grow as a runner while also providing valuable information to my blog readers. 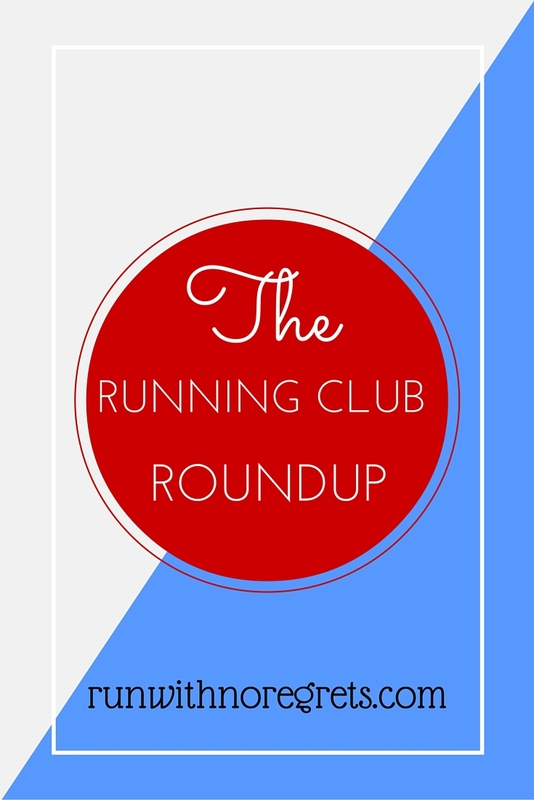 I am happy to announce: I’m starting up new blog series called the Running Club Roundup! So what is the Running Club Roundup? On the first and third Thursday of each month, I will be sharing my experiences running with a new running group. Look forward to an official interview to learn about the running club, followed by a review of my personal experiences with the group. I am committing to challenging myself to run with a new/different running group every single week. And I’m not stopping until I get through them all! To start, I’ll be focusing on running clubs in the Greater Philadelphia Area…and there are a lot of them! But even when I’m out of town on vacation, I’ll be looking for a new running club to try! Participating in running clubs is a great way to get to know other like-minded people while also switching up your running routine. There are so many different TYPES of running clubs that I honestly believe that there’s something out there for everyone, even if you only go once in a while. There are running clubs for beer drinkers, brunch enthusiasts, busy moms, speed demons, weekend warriors, and everything in between. You can focus on speedwork, cross training, hill repeats, or just getting through a long run. All you have to do is show up! If you’ve been riding solo for a while and getting bored, trying out a running group could give you the boost that you need. A few months ago, I wrote a post on how to find a running group you’ll love. When I first fell in love with running back in 2011, I created my own running club at work. For years, I’ve worked hard to promote it internally, organize teams for races, and get people to simply show up on Saturday mornings. I love my running club, but it’s a hell of a lot of work. And I’m tired. I’ve had a great time over the years, but there’s only 3 of us now – one is injured, and the other has family obligations. Those guys are really special to me and I will always love running with them. But I miss the camaraderie of running with others and hope to find even more people to connect with on the trail. I can be pretty shy in new groups. Okay, very shy. I really want to learn to come out of my shell and get to know new people. This is a big challenge for me, but I know that it’ll be one of the best decisions I’ve ever made. I want to grow as a runner and a person – I think this could be a way to do it! And last but not least, I really hope that YOU will learn more about these great running clubs! Maybe you’ve been wondering about the November Project, or how “beer running” actually works. The Running Club Roundup will show you what you may be missing out there, and hopefully inspire you to take a chance, lace up those shoes, and join in the fun! Do you have a running club that you’ve always wanted to try? Are you interested in reviewing the running clubs in your city or town? Let me know because if you do, I have some ideas and we need to talk! Sharing with Jill Conyers for Fitness Friday!